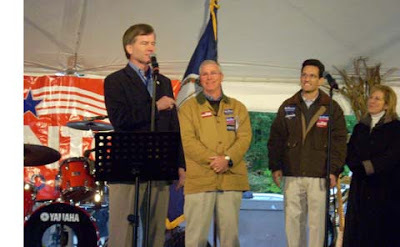 Bob McDonnell speaks at 2009 Republican Round-Up while 7th CD Chair Linwood Cobb and Rep. Eric Cantor listen. Save the date for fun and games at the 2010 Republican Round-Up featuring Congressman Eric Cantor (R-7th CD), Republican Whip, in Richmond on Saturday, October 2, from 3-6:00 p.m. at Snag-A-Job Pavilion at Innsbrook. This free family event pulls in thousands each year with live music, food, beer and wine, children's games, climbing wall, cotton candy, popcorn, and some red, white, and blue patriotism as well as Republican candidates and officials. It's always fun and a great way to catch up with others from across the Commonwealth. Be sure to RSVP today and check the website for directions and additional information as well as photos from last year. Rain or shine ... come enjoy the Republican Round-Up! - 2007 Round-Up ... "Republican for a reason"
As Hurricane Earl gained strength this evening -- now at a Category 4 storm -- the East Coast of the United States braced for a possible hit. 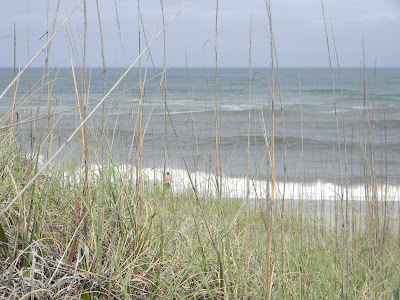 Weather forecasters are cautious as they note that anything could happen over the next four days but have advised those from the Outer Banks north to Cape Cod to keep an eye on the weather to see what Earl will do. More than 7 million jobs have been lost in the last three years and over 3 million of those jobs have been lost since the President signed the so-called stimulus bill into law last year. Unfortunately, these are numbers that the American people are all too familiar with and yet the Congress continues to pursue an agenda that will further threaten American job creators. While Americans are asking “Where are the jobs?”, the Majority in Congress continues to demonstrate that they do not understand the priorities of our constituents or appreciate how private sector jobs are created. It is clear: the policies of higher taxes, runaway spending, government takeovers and record debt which have become commonplace in Washington these days are having a chilling effect on the nation’s small businesses, the economic engine of our economy. From the so-called stimulus bill to the government takeover of our health care system and the threat of higher taxes and massive deficit spending, these policies have further hindered the creation of private sector jobs. Unfortunately, just a little over four months from now, Democrats will impose further tax increases on American families and small businesses who are already struggling to make ends meet. According to the non-partisan Joint Committee on Taxation, unless the $3.8 trillion tax hike, which will take effect on January 1, 2011, is prevented every American income taxpayer will face higher rates. Specifically, 88 million taxpayers will pay an average of $503 in higher taxes due to the elimination of the ten percent bracket, 35 million married couples will pay an average of $595 in higher taxes due to a reinstatement of the marriage penalty, 31 million families will pay an average of $1,033 in higher taxes due to a reduction in the child tax credit, the death tax will soar to 55 percent, and 94 percent of small businesses will see their tax bills increase as well. At the same time that millions of Americans are confronted with these oppressive tax hikes, they will also be faced with the first round of tax increases that are part of the new health care reform law. This monstrosity includes over 20 new taxes or tax increases which total $569 billion in additional taxes on individuals and employers. As if all of this isn’t devastating enough, more than 25 million taxpayers will be ensnared by the Alternative Minimum Tax and higher taxes will be levied on investments starting January 1, 2011. The last thing our economy needs is crushing tax increases. Instead Congress must focus on policies that allow individuals and businesses to keep more of their hard-earned tax dollars, which would encourage investment and provide financial relief for America’s small businesses. Most importantly Congress must send a clear message to our nation’s job creators that they can hire new workers with the confidence that a higher tax bill is not on the way. I remain committed to working to stop these massive tax increases on small businesses and working families that will have a devastating impact on job creation and our struggling economy. I will continue working to enact responsible legislation which puts money back into the hands of those who can really turn our economy around – the American people and small businesses. 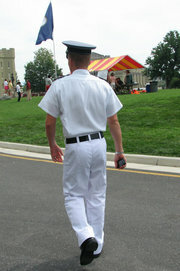 Nate returns for his final year at Virginia Military Institute (VMI) after two deployments to Iraq with the USMC. Home school Rat talks with home school Dyke. so tomorrow you can do what others cannot do." Gov. 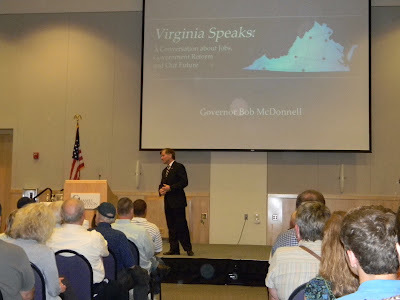 Bob McDonnell took his "Virginia Speaks: A Conversation about Jobs, Government Reform and Our Future" town hall series to Harrisonburg Thursday night, speaking to a packed room that was a mixture of college students, elected officials, concerned citizens, and immigration protesters. It also included those who were happy to show support for a Governor they felt was guiding the Commonwealth with common sense leadership, and a number of his Cabinet members who traveled to Harrisonburg for the meeting. Gov. McDonnell used humor to respond to some pointed questions about energy and immigration but he did not duck or avoid responding to anyone. His good-natured bantering was reminiscent of former President George W. Bush who was famous for his humorous off-the-cuff remarks. A relaxed McDonnell engaged the audience in a conversation as he walked back and forth across the stage, looking eye-to-eye with four hundred citizens as he talked frankly about a variety of issues and concerns. With a jumbo screen behind him, the Governor began the two-hour meeting with an update about his goals as Governor and what had been accomplished in his first seven months in office. Visuals outlined his points as a sign language interpreter relayed his words to the audience. The Governor received applause when he talked about reopening Virginia's rest areas that had been closed in the summer of 2009 by then-Governor Tim Kaine (D), and jokingly added that rest areas were "good for those with big families and small bladders .... and I have both!" He spent a good amount of time talking about his goal to privatize Virginia's ABC stores, which also brought applause from the audience, saying the money saved could be better used for transportation needs. He suggested, "Let's do well what government is supposed to do. But government cannot be all things to all people." A questioner who said he was a beer distributor disagreed with privatization of the ABC stores because of the social impact on young people. The Governor countered by noting that studies showed most alcoholic problems were caused by beer and wine, two spirits that had been privatized for the past 76 years. A comical point came when the questioner stood back up and said, "I did vote for you, Governor!" The audience chuckled and Gov. McDonnell laughingly said, "That's the one that put me over the top," a tongue-in-cheek reference to the 2009 gubernatorial race where he handily won with almost 60% of the vote. Another light-hearted moment came when Hobey Bauhan, president of the Virginia Poultry Federation, voiced concerns about federal legislation to clean up the Chesapeake Bay. Standing at the microphone, he introduced himself and added, "This area is one of the biggest turkey producers." McDonnell didn't miss a beat as he retorted, "Was that before my Cabinet and I came to town?" McDonnell was sympathetic listening to an illegal immigrant whose parents had brought her to this country when she was young but had not initiated citizenship for her. However, he gently stressed and reiterated that immigration laws needed to be enforced. In response to a Charlottesville environmentalist who was against nuclear power, the Governor pointed out wide use of nuclear energy in Europe and its affordability in keeping energy rates low. He then asked if the questioner would be willing to pay more for electricity to which the questioner and several others said yes. Many in the audience shook their heads in disagreement and quietly wondered if he would be willing to pay for those who wanted low energy prices. Another Charlottesville environmentalist was concerned about coal mining and claimed mountains were being "decapitated" by coal companies to which the Governor firmly stated that he was supportive of the coal industry because of jobs and the energy they provided. 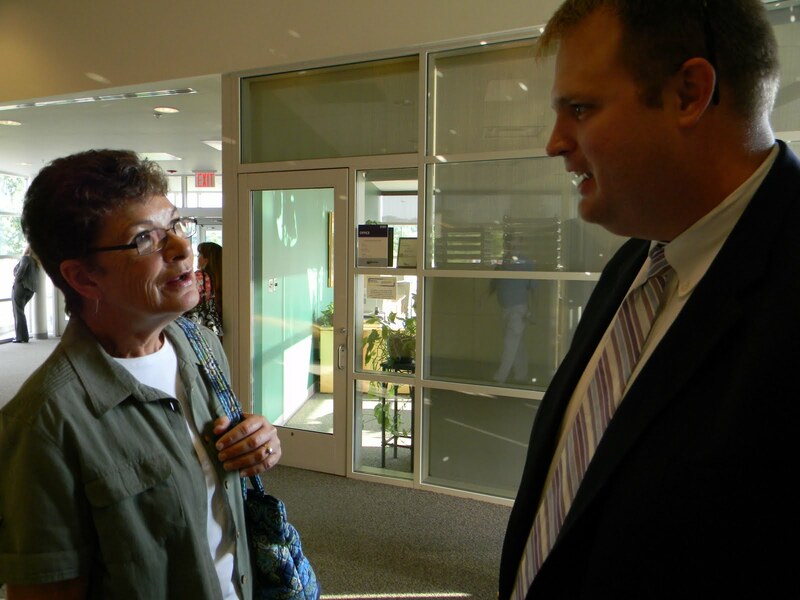 The meeting ran 30 minutes longer than planned but many questions were answered and a sense of civility prevailed. 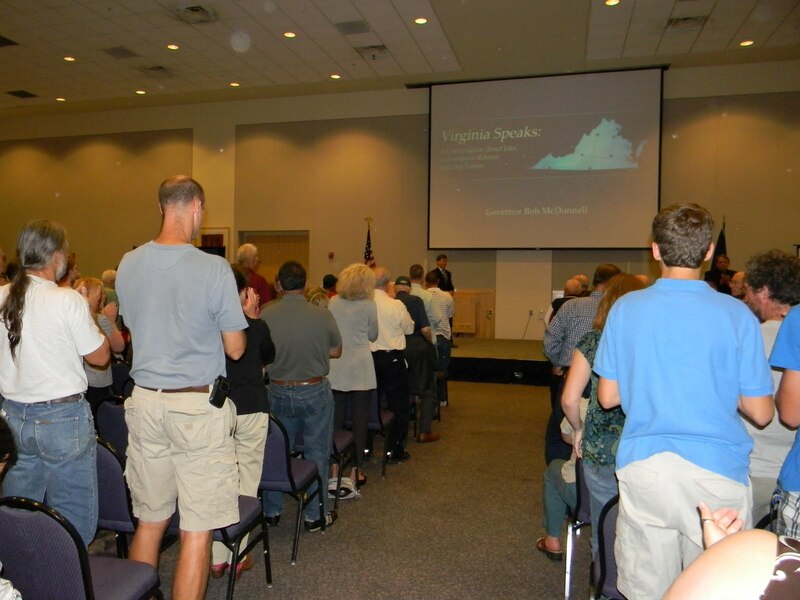 After spending the month of August traveling throughout the Commonwealth and stopping at Roanoke, Norfolk, Chester, Fredericksburg, Fairfax, and Harrisonburg, the Governor will have two final town halls in Danville and Bristol. Thanks to Fishersville Mike who gave me a heads-up that my post in the Washington Examiner about Gov. Bob McDonnell's Thursday town hall meeting in Harrisonburg had been tapped by Glenn Reynolds at Instapundit. Insta-lanche! It's late summer ... the sun is dipping lower in the sky ... temperatures are moderating a little cooler after the 100+ degree days of July and August ... the humidity is lower as a feeling of fall is in the air. Some rogue leaves have already changed colors early ahead of the autumn palate that will soon arrive on the mountain slopes. The vegetable garden is beginning to play out. We're still getting tomatoes and peppers but the corn, squash, potatoes, and onions have finished. The sunflowers are beautiful as they regally stand guard over the rows of what's left to harvest, honey bees busily working on the bright yellow heads. Potted flowers are beginning to have that late-summer bedraggled look about them, scraggly and leggy, and the mauve, purple, pink, and white petunias in the window boxes will soon be replaced by chrysanthemums in fall colors. It's a yearly ritual ... and so the cycle continues. 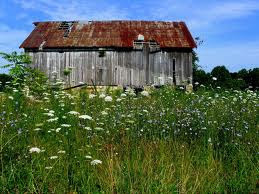 Queen Anne's Lace, chickory, and other wild flowers continue to bloom as farmers get in the late summer hay crop. It's time for apples and pumpkins and corn stalks ... school is back in and field trips will be starting up again soon. Festivals and craft shows will be going on the next two months ... Halloween and Thanksgiving are right around the corner to be followed by Christmas. I must admit I'm a fall person ... I like cooler temperatures, the crisp mountain air that puts a pep in the step ... and I like pulling out snuggly sweaters and cozying up to the wood stove and heading to the mountain ridges to watch the changing of the seasons. 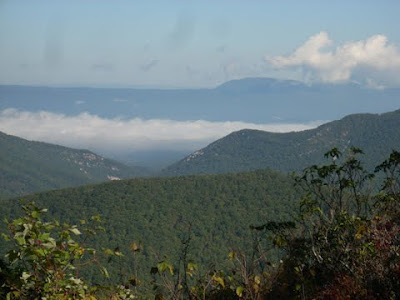 Finding time to slow down and take in God's beauty is more important as the days pass ... living in the shadow of the Blue Ridge Mountains and Appalachians makes it possible to escape to the higher elevations whenever possible. Update: Thanks to Pat Austin who linked to this post in her weekly roundup at So It Goes in Shreveport. KABUL, Afghanistan (AP) - Seven U.S. troops have died in weekend attacks in Afghanistan's embattled southern and eastern regions, while officials found the bodies Sunday of five kidnapped campaign aides working for a female candidate in the western province of Herat. Restoring Honor ... "No wonder the left hates these guys"
He has photos and more commentary. Don't ya just love patriotic Americans? "Restore Honor" rally in Washington, DC ... August 28, 2010. Bob was at today's "Restore Honor" rally in DC and has photos and commentary at The Journey. townhall meeting on August 26, 2010. Gov. McDonnell entered a packed room as citizens stood to applaud. 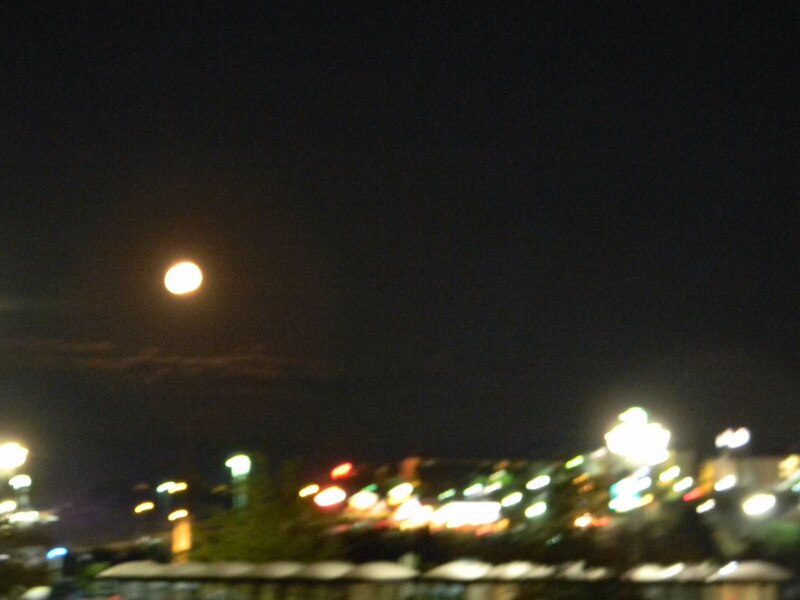 A full moon over Harrisonburg. Sitting under a shade tree at Arlington Cemetery, Barb and Larry Tillett were grateful for a slight breeze after making the trek from the Lincoln Memorial where the Glenn Beck "Restoring Honor" event had ended a little after 1:00. They still had an hour to wait for their bus to pick them up for the return ride to the central Shenandoah Valley. Barb was hot after the long walk in the mid-day sun with temperatures in the 80s, a "typical hot and humid" day in DC, she said as she mopped her brow with a handkerchief soaked in water and sipped from a "Restoring Honor" bottle of water, one of several they had picked up for hydration and as souvenirs. 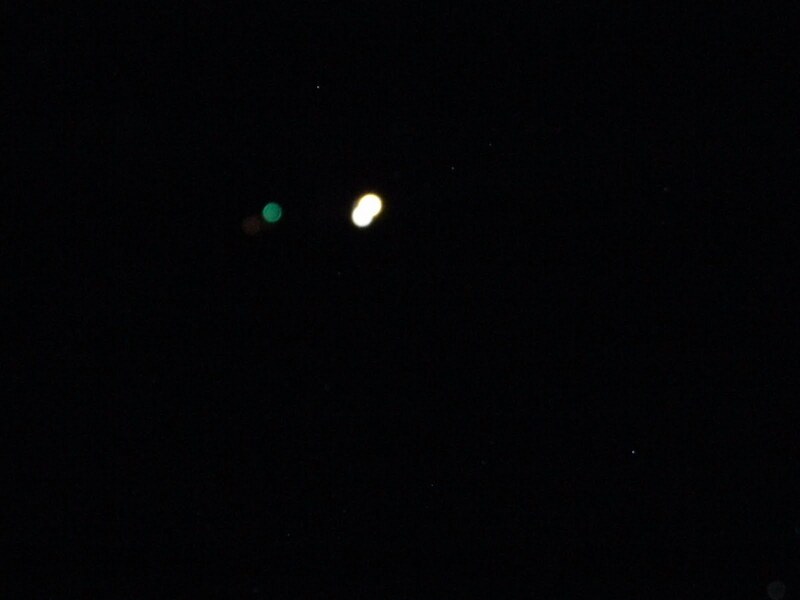 They had left early, at 5:00 Saturday morning, making stops along the way. Even with the pre-dawn start, their bus arrived later than many others -- "We should have gotten here by 7:00 or 8:00 to get a good spot," she laughed -- and, by the time they walked from Arlington Cemetery to the Lincoln Memorial, it was 9:00, barely an hour before the event was to begin. 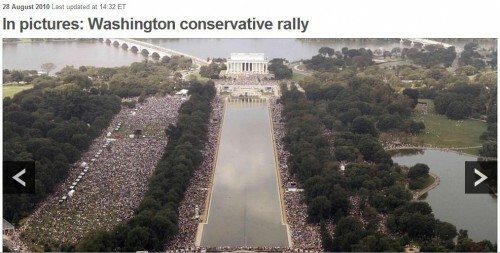 A huge crowd was already in place, spread across the National Mall, and few open areas were left around the jumbotrons. They eventually found a spot in the shade at the only jumbotron that was anywhere near them but the crowd was so dense there was little air and they moved on to another place where there was sound but they could not see. However, the lack of actually being able to see Glenn Beck in person nor the late summer DC heat dampened Barb's enthusiasm for the event as she recalled the program especially the soldiers who had served in Iraq, Afghanistan, and Vietnam who were introduced by Sarah Palin. Martin Luther King's niece was very inspiring, she said, and the bagpipe playing "Amazing Grace" brought tears to the eyes of many in the gigantic audience. Glenn Beck, she added, was inspirational and uplifting as he called for Americans to come together, bring God back into the public square, and be involved. Billed as a non-political event, the audience had been asked to leave protest signs at home. A few flags, American and Gadsden, dotted the crowd. Many advertised with their tee shirts ... "AMERICA," read one while another had an American flag and others showed off a variety of messages in what appeared to be a mostly conservative crowd. 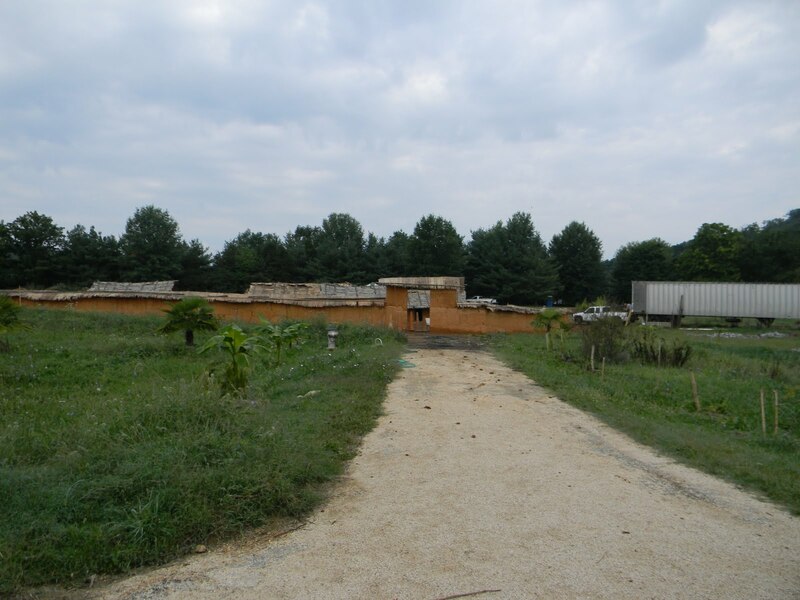 Controversy broke out earlier in the week when news sources reported August 28 as the anniversary of Martin Luther King's "I Have a Dream" speech that took place at the same location as today's "Restoring Honor" event. Rev. Al Sharpton, who publicly disagreed with Beck's event, led a Saturday afternoon rally at a nearby high school that was billed as the "Reclaim the Dream" rally, seemingly unaware that Dr. King's niece was participating with Glenn Beck. At least 1,000 buses were registered with "Restoring Honor" organizers, buses that spent the afternoon reloading passengers to head back to the places they came from across the nation. A final tally of the crowd by Park Police had not been determined but was sure to be impressive. Meanwhile, the Tilletts were looking forward to boarding their air-conditioned bus for the trip back home to the Shenandoah Valley, content they had witnessed an historic event. Gov. 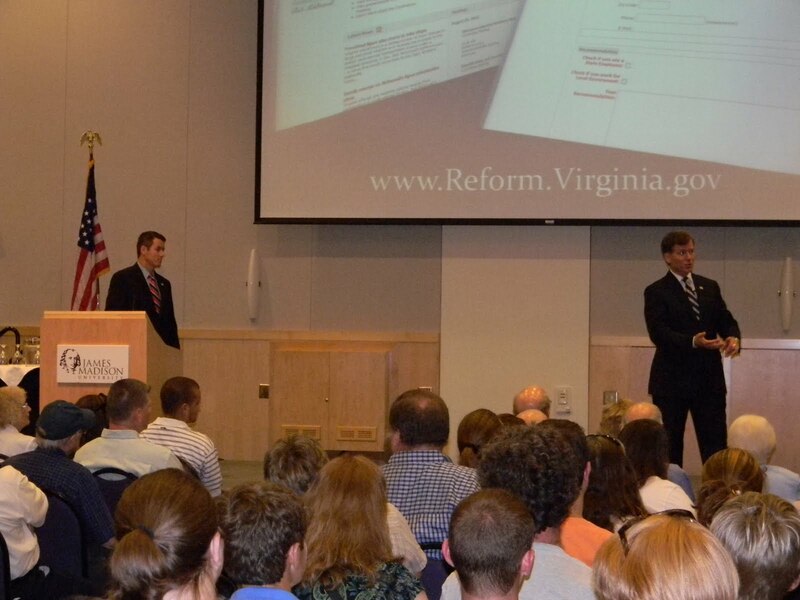 Bob McDonnell showed his humorous side at Thursday night's Harrisonburg, Va., town hall meeting. Mike Reynold is behind the podium. Read my thoughts in the Washington Examiner. From Real Clear Politics, video of House GOP whip Rep. Eric Cantor (R-VA) saying "we will do everything we can" to delay, defund and repeal Obamacare. Polls have shown the majority of Americans are against ObamaCare. 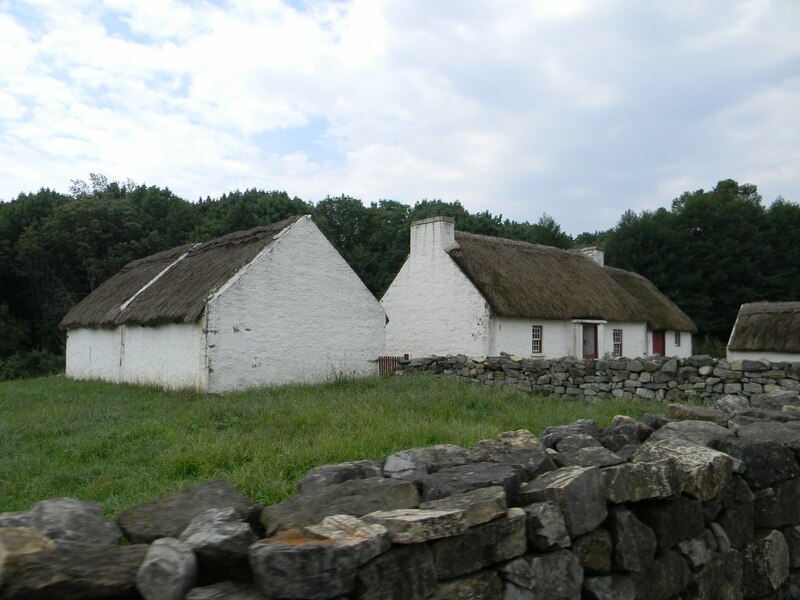 Irish Farm at Staunton's Frontier Culture Museum. "Take a journey into the past." 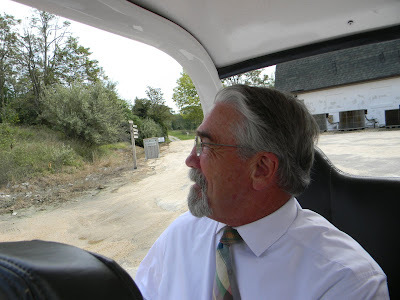 The golf cart tour led by FCM Executive Director John Avoli headed up the drive to another part of the property ... the old DeJarnette buildings. New African Farm opening September 18, 2010. Steve Dodd Ampitheater. 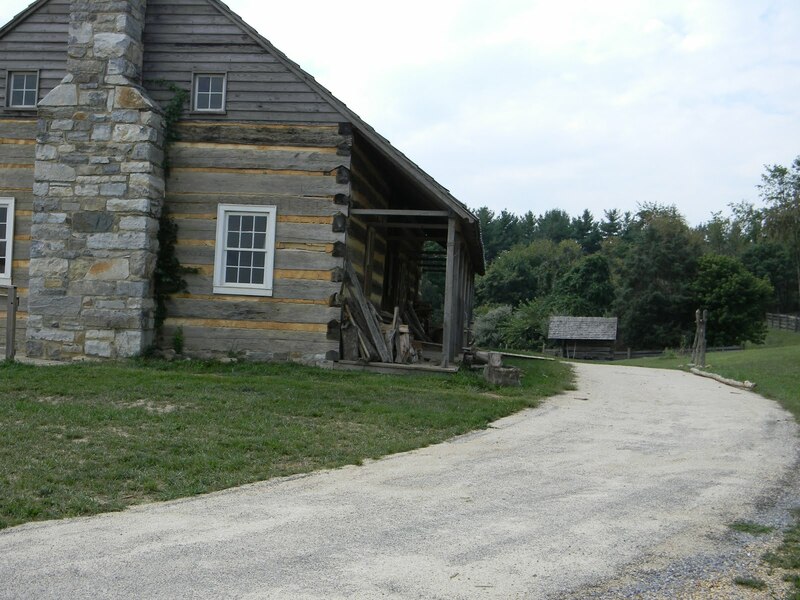 This is a brand new addition to Frontier Culture Museum Virginia built after the local Amheiser-Busch distributor passed away. 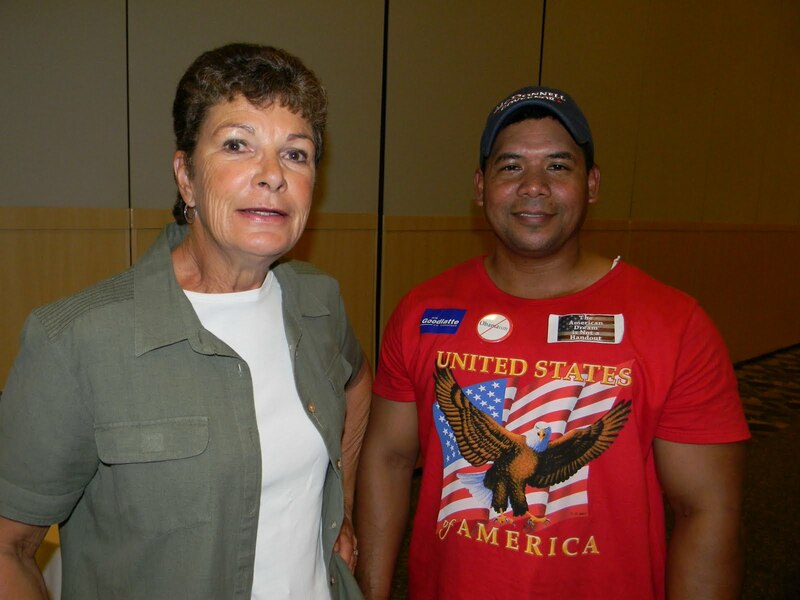 Bill Card, retired Marine officer (right) and Del. Dickie Bell (left), both new trustees who participated in the orientation on Thursday. Chicken coop at the American homestead. The Frontier Culture Museum in the heart of the Shenandoah Valley is a local and state treasure. 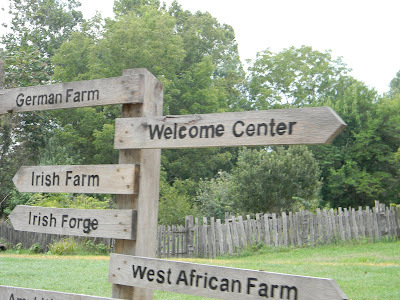 Signs help visitors find their way around the 300-acre outdoor living museum. 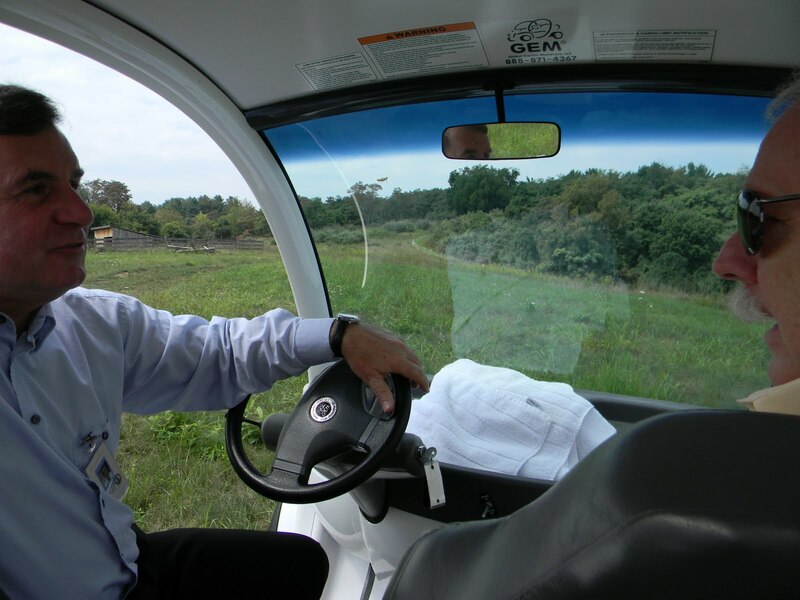 Executive Director John Avoli escorted four new trustees on a golf cart tour of the property. Del. Dickie Bell, another new trustee, on the tour. Today was orientation day for newly appointed members of the Board of Trustees at the Frontier Culture Museum in Staunton. Governor Bob McDonnell's announcement of new names brought us all together to learn a little more about the background of the museum from Executive Director John Avoli, former mayor of Staunton, and take in a golf cart tour of the property. 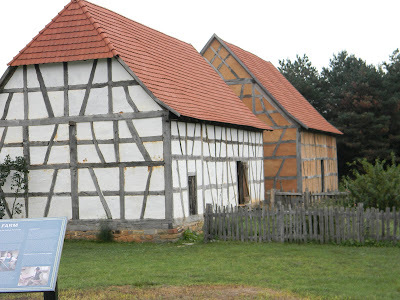 The Frontier Culture Museum offers a hands-on teaching experience for all students, young and old alike. As a 16-year home school veteran, my children and other home educated students often took the opportunity to tour the outdoor museum. On July 4th of this year my parents walked the paths to the homesteads for the first time. Crabtree Falls, located off the Blue Ridge Parkway in Nelson County, is the highest vertical-drop cascading waterfall east of the Mississippi River and, sadly, one of the most dangerous. Its victims over the years have climbed onto the rocks that are deceptively slippery with moss and spray from the falls and slipped to their deaths. Late Monday morning hikers discovered an unidentified man who had fallen 300 feet to his death. He was victim #26. The man, who reportedly owned a cabin nearby and was from Richmond, apparently had climbed over a stone wall onto a large rock and ended up below in the nearly-dry stream. Authorities reported that he was around 60 years old. It was the first fatality since the March 2008 death of University of Richmond law school student Robert Slimak, 26, who slipped while hiking with college friends and plunged to his death. 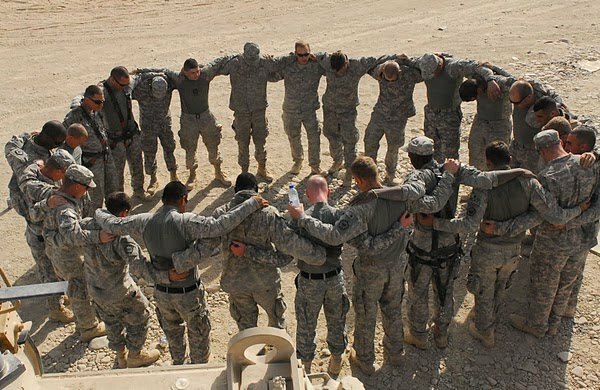 Support our troops ... please pray for them and their families. In most households with children, pets come and pets go. 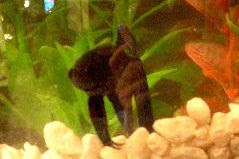 We knew Pepé wouldn't be around forever ... most beta fish live a maximum of three years. Pepé lasted 2 1/2 years. SWAC Daughter gave him a nice burial in the flower garden using a tiny tin Jelly Belly container as his final resting place. We are the new owners of a fish ... or, more accurately, SWAC Daughter is the new owner of a fish. She received it as a Valentine's gift from a friend and it now resides in its bowl near the wood stove. As a tropical fish, it is supposed to have a minimum of 73 degrees to be comfortable. In the winter, it is rarely 73 degrees in our house ... except near the wood stove while it's cranked. When the fire dies down, the chill sets in. This fish will have to adapt until summer. SWAC Daughter named him "Pepé" after the shrimp in the Muppets. Cute name. Cute fish. Curiously, I've never owned a fish, never had a desire to own a fish ... I mean, what can you do with a fish? You cannot cuddle it or pet it. It just swims in its bowl. But a funny thing happened on my way to ignoring this fish. I got attached to it by default. With SWAC Daughter's busy schedule ("Don't depend on me to feed that fish," I had told her), I have found myself drawn to it. When it's time to feed it, I took the food and, not realizing most folks throw the food pellets on top of the water, fed the fish one pellet at a time. He got used to me and I got used to him ... to the point where he now gets all excited and flips around and is animated when it's time to be fed. I do believe this fish has a personality. Wait a minute. I am not going to become attached to a fish. You know ... a fish isn't such a bad pet after all. When SWAC Daughter posted on Facebook that Pepé had gone to the great fish bowl in the sky, she had many comments including those who remembered he loved to swim on his side ... the beta fish that thought he was a flounder. To think he lived in the same household with a cat that never knew he existed! 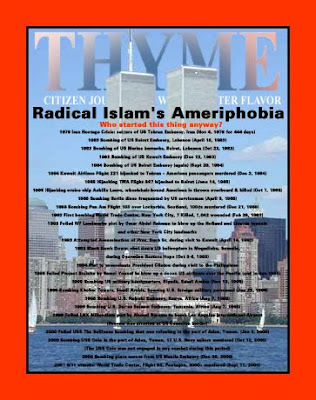 Radical Islam's Ameriphobia ... who started this thing anyway? Bob K's THYME Magazine ... Citizen Journalism With a Better Flavor this week features the Twin Towers and a question: "Who started this thing anyway?" With the ninth anniversary of 9/11 just a few weeks away, the controversy rages over the Ground Zero Mosque and concerns increase over the war on terrorism. Read Bob's commentary in response to this week's Time magazine. I want to thank Gov. Bob McDonnell for the honor of being appointed to the Frontier Culture Museum Board of Trustees. 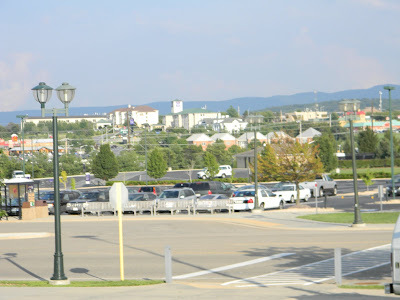 The Museum is a treasure for Staunton and Virginia, and a teaching resource to many as well as a well-known tourist destination to those who visit the Commonwealth. Scott MacMillan was interviewed by WHSV TV-3 about his appointment to the board, saying he was excited to be working with the other trustees to advance the Frontier Culture Museum. Republicans in the U.S. Congress are reaching out to constituents during the "town hall" season that is traditionally held during its summer break. Billed as "America Speaking Out," congressmen are reaching out into their districts to initiate a "new national dialogue that aims to bring the halls of Congress into American homes." The Shenandoah Valley's Congressman Bob Goodlatte (R-VA) will be traveling the mostly-rural 6th District, something he is very familiar with as he plans to set out on his latest tour to listen to voters' concerns. Visiting urban areas that include Roanoke and Lynchburg as well as making stops in the Shenandoah Valley and Hot Springs in the Alleghany Mountains, he will collect information from constituents as they share their ideas for a national policy agenda. Many have concerns that center on limited accountable government, the free enterprise system, lower taxes and responsible spending, and all will be compiled to bring about a new American agenda. Under categories that include "American Prosperity," "Fiscal Accountability," "American Values," "National Security," and "Open Mic," the America Speaking Out website offers an opportunity for voters of all political persuasions to speak up and be heard. In the new U.S. News and World Report's Best Colleges 2011 issue, Mary Baldwin College is ranked high among the best colleges and universities in the county, placing 27th among regional universities in the South. The stately white buildings that make up Mary Baldwin sit on a picturesque hill overlooking historic downtown Staunton, Va. Opened in 1842 as Augusta Female Seminary on 55 rolling acres of land, the small Presbyterian liberal arts college has provided an education for young ladies for almost 170 years, making it one of the oldest institutions of higher learning for women in the United States. The name was changed from Augusta Female Seminary to Mary Baldwin College in 1895 to honor Mary Julia Baldwin who became principal in 1863 and remained in that position until she died in 1897. She is credited with saving the college during the Civil War when nearly every other school in the Shenandoah Valley was forced to close because of extensive fighting in the area. Her steady leadership allowed the college to survive the war and, afterwards, to expand and prosper. In 1923 the two-year junior college became a four-year school. Today the college continues to thrive. In conjunction with downtown Staunton's American Shakespeare Theater, Mary Baldwin is one of only three universities in the country to offer a Master of Letters in Shakespeare and Renaissance Literature in Performance. It also offers the Virginia Women's Institute for Leadership (VWIL) program for female cadets in affiliation with Virginia Military Institute (VMI) located in nearby Lexington. The Program for the Exceptionally Gifted was begun as a way for gifted young ladies ages 12-16 to earn a bachelor’s degree. 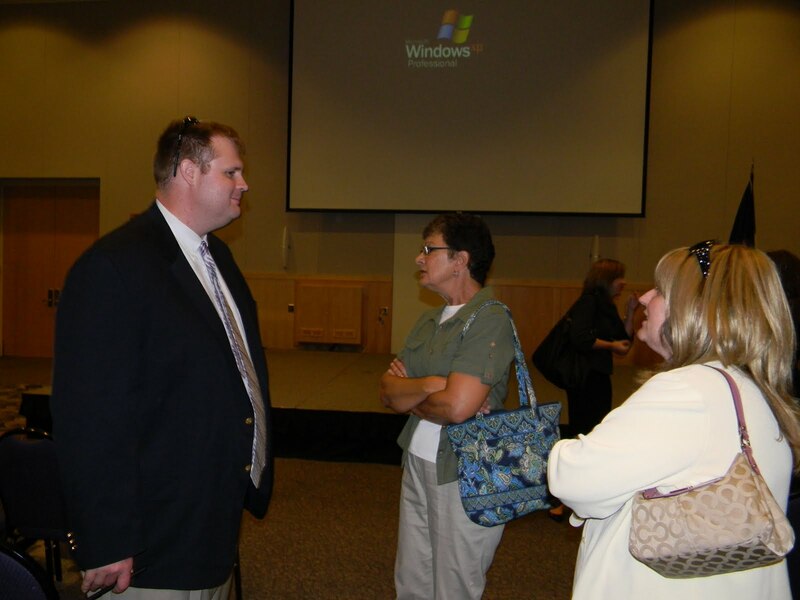 The graduate and adult degree education programs offer continuing education at the Staunton campus as well as five satellite campuses around the Commonwealth. MBC’s ranking among the best colleges in the South shows it continues to provide a high quality education into the 21st century. There's a narrow gold wedding band I wear along with my own ... my grandmother's wedding band ... that was left to me when she passed away many years ago. Inside is engraved my grandparents' initials and the date of their wedding ... August 21, 1904 ... 106 years ago today. 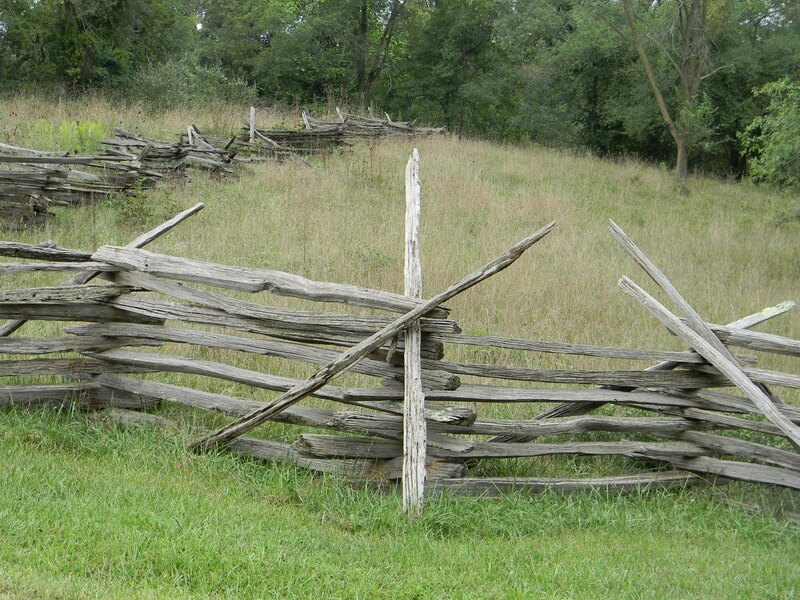 My grandfather was from Grayson County in southwest Virginia. My grandmother was from Allegheny County, NC, just across the New River and state line. I don't know how they met, only that they were married in Cox's Chapel along the river. Their names were John and Molly and they were two teenagers beginning life together as generations had done before in those isolated hard-scrapple mountains. 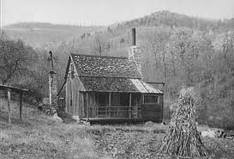 They settled in a small cabin on the side of a mountain near an area known as Mouth of Wilson in the shadow of Grayson Highlands and Mt. 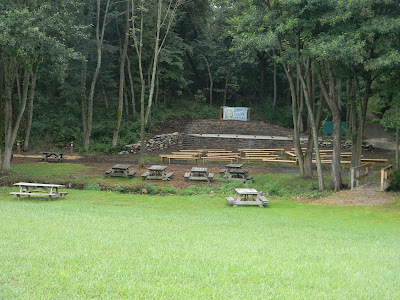 Rogers in the days before it became a state park. The land was sloped and rocky ... the elevation was over 3,500 feet ... and to walk it today makes me wonder how they were able to survive in the harsh winters and difficult summers. In two rooms, they began raising their family that would eventually include 10 children ... my mother was the youngest ... as my grandfather farmed with a mule and plow, piling rocks on the hillside that are still in place to this day. 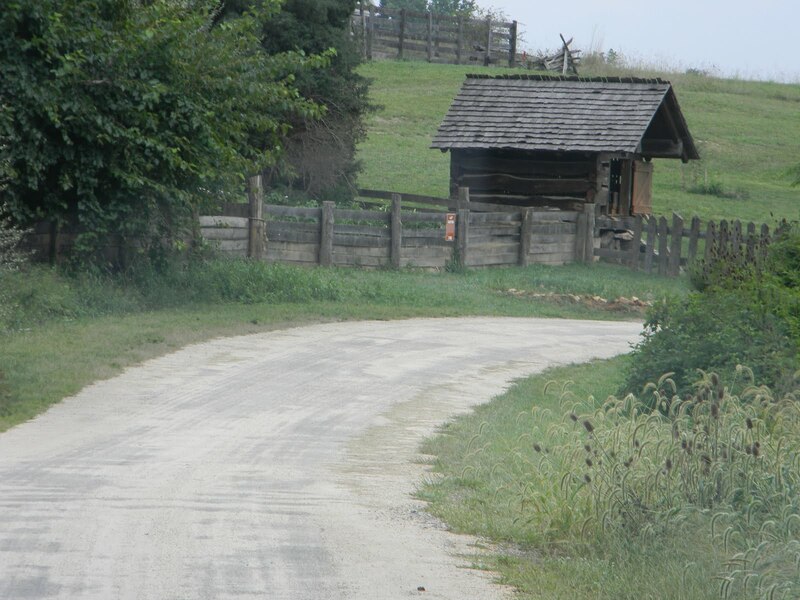 A small creek passes below the cabin, a source of water during the days they lived in those cramped, sparse conditions. They were surrounded by family. Our relatives are all through those hills, most staying close as they grow into adulthood, marry, and raise families of their own. 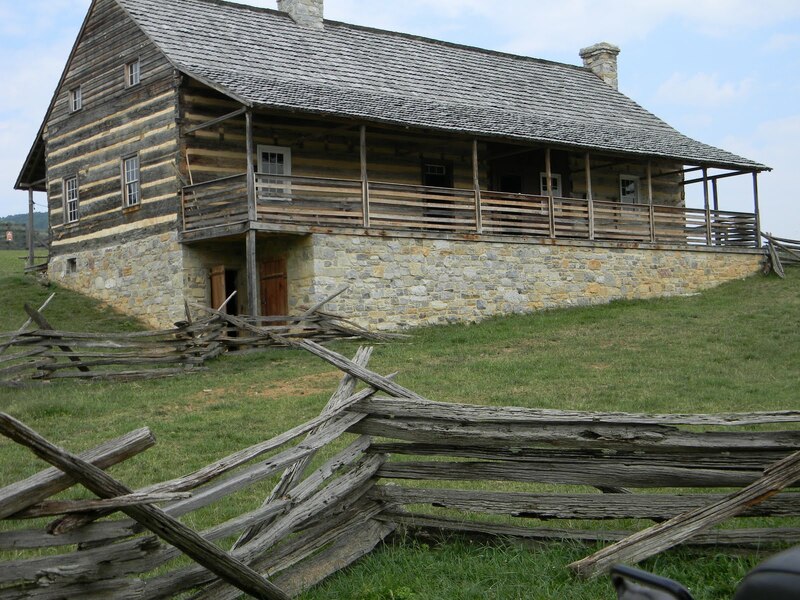 My grandfather's parents lived in a log cabin on The Knob, the family place that was made up of two rooms and a fireplace on the ground floor, and one large room upstairs. My grandmother's father was prosperous and owned a store outside Sparta, NC. She left to marry and make a life of her own. Karen Hughes: "Move the Mosque as a sign of unity"
The national debate about building a mosque near Ground Zero in New York is less about our freedom of religion than about the common sense and uncommon courtesy sometimes required to come together as Americans. In our society, we are free to do many things that we nonetheless choose not to. Another voice weighs in on the Ground Zero Mosque controversy and it may not be what the "ask-Bush-what-he-thinks" liberal crowd had hoped to hear. Karen joins Karl Rove in suggesting an alternate location. Karen and Karl were the President's closest confidants ... and they are probably as close to a voice from the President as anyone will hear. Former Bush speech writer Michael Gerson has spoken out in support of the Mosque but he was never one of the true "insiders." Weasel Zippers suggests Nancy Pelosi will now have to investigate Karen Hughes as one of the many against the Mosque locating so close to Ground Zero. Byron York opines in the Washington Examiner, "A statement from Hughes, whose thinking often seemed to track closely with Bush's, could be a clue to the former president's thinking." True enough. Date: Thursday, October 21, from 9 a.m. to 5 p.m. Cost: Special rates for homeschool families: $3/student and $5/adult if purchased in advance; $5/student and $7/adult if purchased at-the-door; free for children 5 and under. Registration: Call 540-332-7850 to purchase tickets in advance. Pre-registration deadline: Monday, October 18, 2010. Tickets and wristbands can be picked up in the Visitor’s Center. The Frontier Culture Museum tells the story of the thousands of people who migrated to colonial America and the life they created here during the 1600s and 1700s. 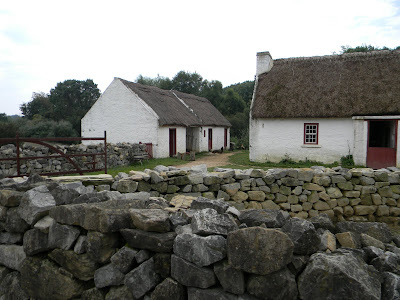 To tell the story of these early immigrants and their American descendents, the museum includes traditional rural buildings from England, Germany, Ireland, West Africa, and America; living-history demonstrations; Old World exhibits showing the rural life and culture of early migrants to the American colonies; and American exhibits showing the life these colonists and their descendents created here. 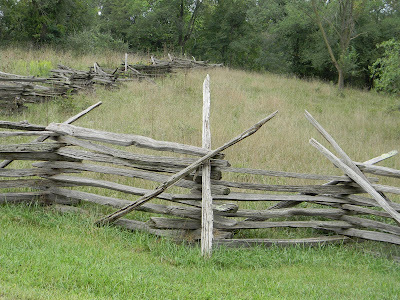 Come see how life in the United States today is shaped by its frontier past! For more information, visit www.frontier.virginia.gov, or contact Sasha Duke at Sasha.Duke@fcmv.virginia.gov for detailed information about special activities on Homeschool Day. Make checks out to: Botetourt County Republican Committee, P.O. Box 702, Daleville, Va. 24083. U.S. News and World Report has ranked Staunton's Mary Baldwin University, where SWAC Daughter is a junior, as one of the best in the South. James Madison University, SWAC Son's alma mater, was ranked #3 in public universities in the South. Rep. Bob Goodlatte (R-VA) will hold town hall meetings in the 6th District beginning next week. Date and details can be found at the Washington Examiner. Today, the American people are facing one of the most challenging times in our nation’s history. Our economy remains sluggish, people fear losing their jobs and their homes, and many are worried about the future their children and grandchildren will inherit. They are deeply concerned about the outlook for our nation and wonder if their children will grow up in the same America they did. People are looking for solutions to the problems we face. The Majority in Congress has responded to the outcry of concern by the American people by raising taxes, increasing federal spending at an unsustainable pace, allowing our national debt to spiral out of control, and passing legislation that gives the federal government more control of our daily lives. They have spent trillions on bailouts and stimulus packages to help grow our economy, but all it has done is increase our debt and the size of the federal bureaucracy while leaving our nation’s unemployment rate hovering around ten percent. The American people have lost trust and confidence in many of their elected representatives. They are fed up with Congress’ irresponsible spending spree, the culture of waste in Washington and government bailouts that force hard-working taxpayers to subsidize the reckless behavior of others. Today, Washington spends $7 million every minute of every hour of every day and to finance this spending addiction the government must borrow 42 cents of every dollar spent. This has resulted in our national deficit exceeding $13 trillion which is $42,000 for every man, woman and child in America. It is time Congress takes control of spending instead of letting it control the Congress. Immediate action must be taken to cut federal spending. Specifically, Congress should cancel the unspent “stimulus” funds which would save up to $266 billion. Additionally, Congress should cap discretionary spending. Since 2008, non-defense discretionary spending has increased by 24% and if you include the so-called stimulus money, spending has increased by 84%. Reducing spending from current levels and imposing a cap on future growth would generate savings for the taxpayer in excess of $340 billion. Furthermore, I have introduced bipartisan legislation which forces Congress to enact fiscally responsible spending measures and reduce the deficit by requiring that total spending for any fiscal year not exceed total receipts. By requiring the federal government to balance the budget it ensures that Congress and the President are held accountable to the American taxpayers. I understand the serious problems our nation faces. Ten percent unemployment is unacceptable. A national debt spiraling out of control is unacceptable. Runaway spending is unacceptable. The American people are demanding accountability and results. I will continue working hard to bring fiscal responsibility back to Washington by tightening the budget, eliminating wasteful spending, and enacting real, cost-effective solutions to turn our economy around. He's been bashed and blamed by Barack Obama and the Democrats for the two years since he left office. Now the pendulum is swinging back for former President George W. Bush. If people bad-mouth someone long enough, does it eventually cause a backlash? That seems to be the case with President Bush as he sees his popularity rise in this important election cycle. The strong, steady leadership of George W. Bush led this country through the aftermath of the worst attack since Pearl Harbor. When 3,000 people lost their lives on 9/11/01, George W. Bush never backed down and never blamed America but stood up for the troops and promised to do everything within his power to keep the American homeland safe. That mission was, indeed, accomplished. Perhaps now he is beginning to receive the recognition he deserved. 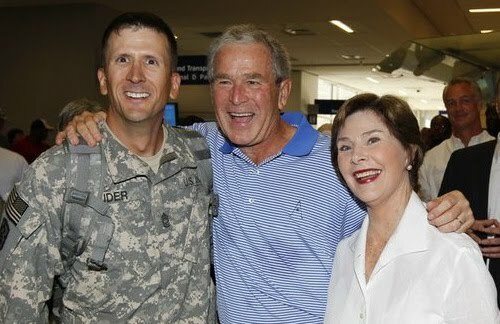 George and Laura Bush greet soldiers returning from Iraq and Afghanistan at Dallas-Fort Worth Airport in Texas on August 11, 2010. It was a welcome that many troops won't forget as they returned home from duty in Iraq and Afghanistan. As they entered the terminal at the Dallas-Fort Worth airport terminal on August 11, not only were their loved ones waiting to greet them but also former President George W. Bush and former First Lady Laura Bush, both Texas natives. The "Welcome Home" project has been a long-standing effort by those in the Dallas-Fort Worth area and coordinated by a man named Bert Brady. About 40 people, among them retirees and veterans, show up daily to welcome home soldiers at the airport as they return to the U.S. from service overseas. Soldiers have asked to be rerouted so they can return home through Dallas-Fort worth. Here is video of President and Mrs. Bush interacting and welcoming American troops back home to America on August 11, 2010. Please help us send 100,000 "Thank You!" messages to former President George Bush for his patriotism and support of our military! Let's let him know we are grateful for his continued leadership. Please continue to remember our troops and their families in your daily prayers. Watch the video and send your "Thank you!" President Bush's strong words of encouragement, unity, and leadership led this country through the dark days after 9/11: "We're ready, we're steady, we're resolved." Nate Salatin and his fellow Marines in Iraq ... 2009. Our military men and women so so much to protect our freedoms and keep us safe. Yesterday I met a friend for lunch at Texas Steakhouse in Staunton. He's former military, a cop, and someone who shares an interest in politics, and we often meet for lunch to discuss the news and what's going on locally. I complimented him on his "Miss me yet?" t-shirt featuring a photo of former President George W. Bush. 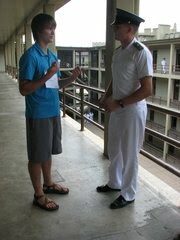 As we sat and talked, a young soldier walked in, was seated at a nearby table, and ordered his lunch. My friend stopped our waitress and said, "I'll pick up that soldier's tab." Other friends have done the same over the years as a small token of gratitude for the sacrifice and gratefulness of our military members. It's a big change from the 1960s and early 1970s during the Vietnam War when soldiers were not treated well in this country. 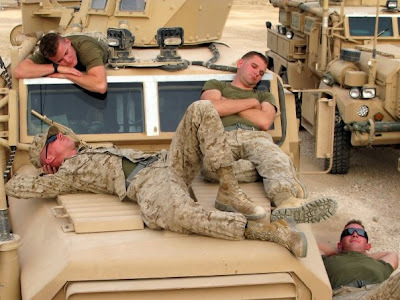 The American military ... we thank them for their service. Virginia's 9th Congressional District ... Morgan Griffith has taken to the airwaves in Southwest Virginia. Jousting, that medieval sport of kings and knights that tested their skills at horsemanship, balance, and marksmanship, returns to the central Shenandoah Valley this weekend as it has for the past 189 years. The Mt. Solon Tournament began in 1821 when two local men jousted to settle a dispute over which should have a certain young lady for his wife. The tradition continued as sport and today thousands turn out to join the festivities. Jousters, some using lances that are hundreds of years old, travel from throughout the East Coast to spend the weekend testing their skills at spearing three steel rings hanging from crossbars while charging down a ninety-yard course in eight seconds or less. Held the third weekend in August at Mt. 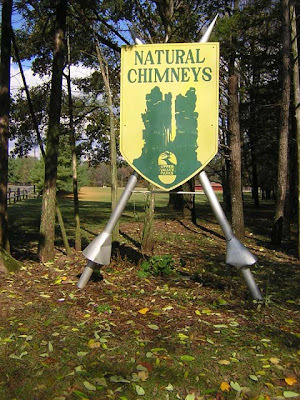 Solon's Natural Chimneys Park in northwestern Augusta County at the foot of the Appalachian Mountains, it is America's oldest consecutively-run sporting event, sanctioned by the National Jousting Association, and kicked off each year with the command, "Charge, Sir Knight!" 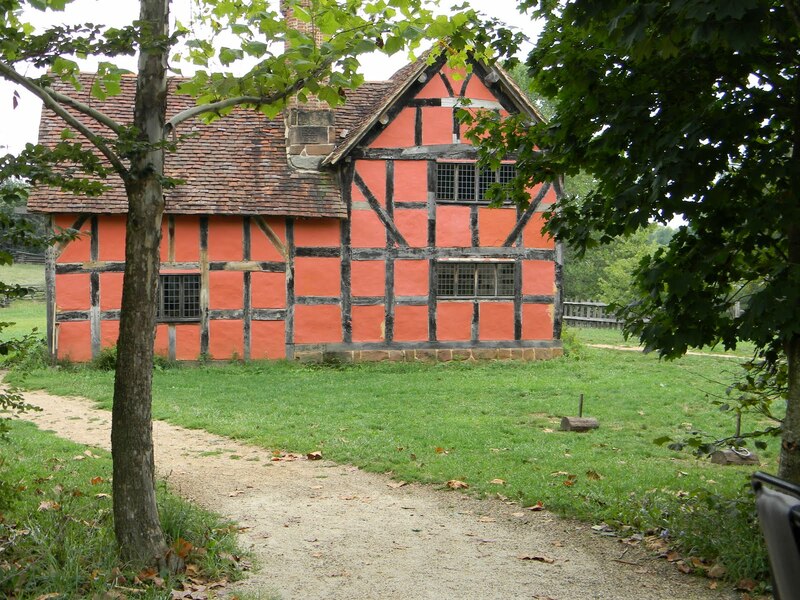 The Medieval weekend and Renaissance Faire has a magical feel with knights and damsels and horses with names like "King Arthur" and "Sir Knight." The modern day jousters are a society of like-minded folks who know one another and look forward to the good-natured sport that has been tamed to allow both parties to live to joust another day. They now spear rings hanging from crossbars instead of each other. If you go, take a lawn chair, a sweater (sometimes it's cool), and plan to tailgate with a picnic. And don't forget your camera. There is a slight charge to get into Natural Chimneys Park but it's not much, and the sight of so many jousters is well worth the experience. RICHMOND - Governor Bob McDonnell today announced that the Virginia Tourism Corporation (VTC) won the ESTO Mercury Award for Niche Marketing for wine tourism promotion. Virginia took home top honors for Vintage Tweets – a cutting-edge public relations effort that utilized social media to promote wine travel in Virginia. The U.S. Travel Association awards only 12 Mercury awards to the top marketing initiatives in the country. The Virginia Tourism Corporation organized Vintage Tweets in September of 2009 in Arlington, Virginia to kick off October Virginia Wine Month. Vintage Tweets was the first ever Virginia wine tweetup. The state tourism agency used the social media network Twitter to target media, bloggers and consumers who are passionate about wine travel, live in and around Washington, D.C., and had significant number of Twitter followers. The Virginia Tourism Corporation used Twitter to invite 40 of those consumers to a wine reception, featuring six different wineries from across the state. The guests tweeted about their wine tastings and also took part in Virginia Wine Travel Twitter trivia. In total, Vintage Tweets was able to reach over 43,000 consumers in just 24 hours, providing key facts and travel ideas to potential visitors from across the country. Virginia is quickly becoming one of the top wine destinations in the country. 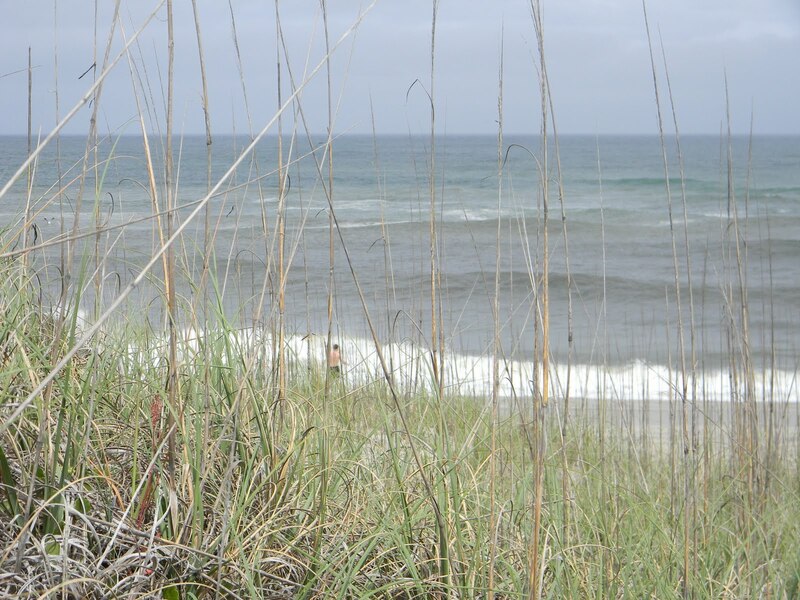 The state is home to 160 wineries, 16 wine trails and was recently named one of the top five up-and-coming wine destinations in the world by Travel + Leisure magazine. Each October the state pays homage to wine travel with Virginia Wine Month, with dozens of wine festivals and special events. 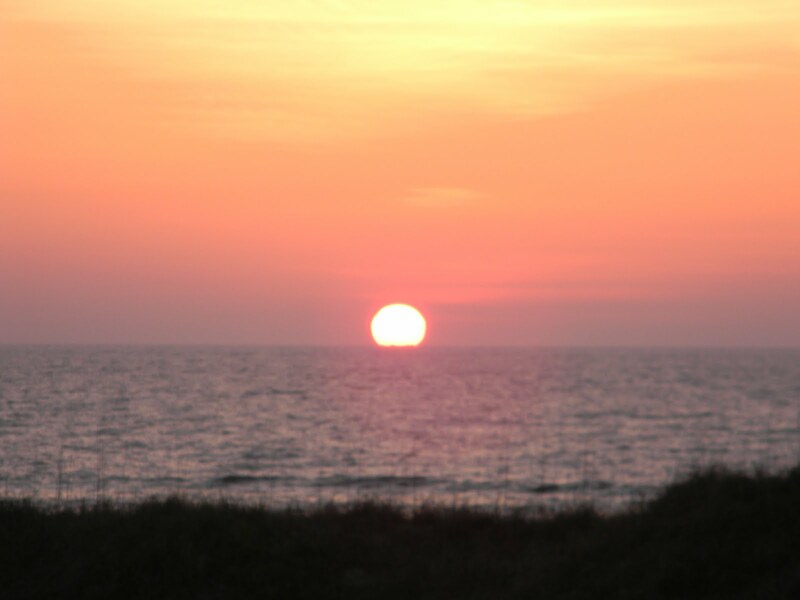 For more information about travel and wine destinations in Virginia, visit www.Virginia.org/wine or call 1-800-VISITVA. A $1 million contribution. That's what News Corp's owner Rupert Murdoch gave to the Republican Governors Association (RGA), according to Ben Smith at Politico. News Corp owns Fox News and the New York Post. News Corp. Spokesman Jack Horner emails, "News Corporation believes in the power of free markets, and the RGA’s pro-business agenda supports our priorities at this most critical time for our economy." "Be a man of principle ..."
Riley: "Southbridge kicks off 20th anniversary celebration"
Dumfries, Va. - 1990. The number one song of the year was "Hold On" by Wilson Phillips. The top movie at the box office was "Home Alone." 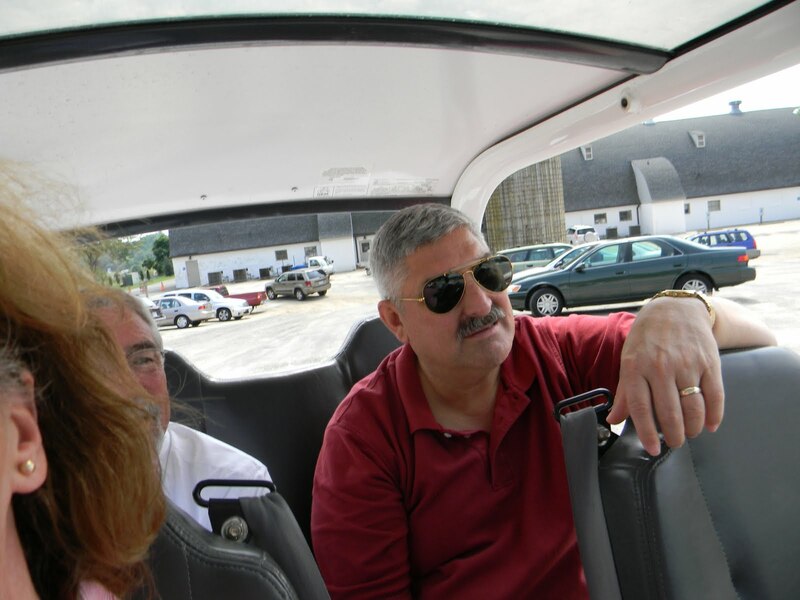 On TJim is president of the Southbridge Community Association Board of Directors. V, "Cheers" held the top spot. I was in college in Massachusetts, my wife was still in high school in Upstate New York, and our children were not even gleams in our eyes that had yet to gaze upon one another. Wherever you live, whatever your talent or interest, your community can find something for you to do that can help your neighborhood meet its full potential. I ask that you take whatever time you can spare to volunteer and make your corner of Prince William County the very best that it can be. Hats off to the many presidents and volunteers of the many community associations in the SWAC area, across the state, and across the nation. Governor Bob McDonnell discusses his goals for the Supplier Diversity Advisory Board at the inaugural meeting held today, Tuesday, August 17th, in Richmond. Members of the board were announced yesterday in a press release, which can be found here. Del. Ben Cline (R-24th House), who represents southern Augusta County, has been appointed by Governor Bob McDonnell to his Virginia Health Reform Initiative Advisory Council. 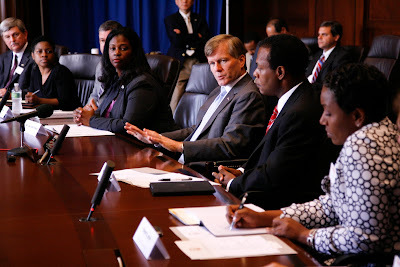 Governor Bob McDonnell today announced the members of his Virginia Health Reform Initiative Advisory Council. This Council will provide recommendations to the Governor towards a comprehensive strategy for implementing health reform in Virginia. The Advisory Council will go beyond federal health reform and recommend other innovative healthcare solutions that meet the needs of Virginia's citizens and government. The Advisory Council's recommendations for addressing health care access, cost and delivery in Virginia may serve as a model for other states. The recommendations of the Council will help create an improved health system that is an economic driver for Virginia while allowing for more effective and efficient delivery of high quality health care at lower cost. NBC 12 out of Richmond has the details about an overturned box truck on I-95 carrying oxygen tanks. The northbound lanes of I-95 have reopened (and I was talking with someone traveling in that area when he came up on the accident and verified the north side of the interstate was open). Southbound lanes remain closed as HazMat and cleanup crews continue on sight at the intersection with Chippenham Parkway in Richmond. School's back! As students in Augusta County public schools returned to classrooms today, those in Staunton and Waynesboro are gearing up to return tomorrow. 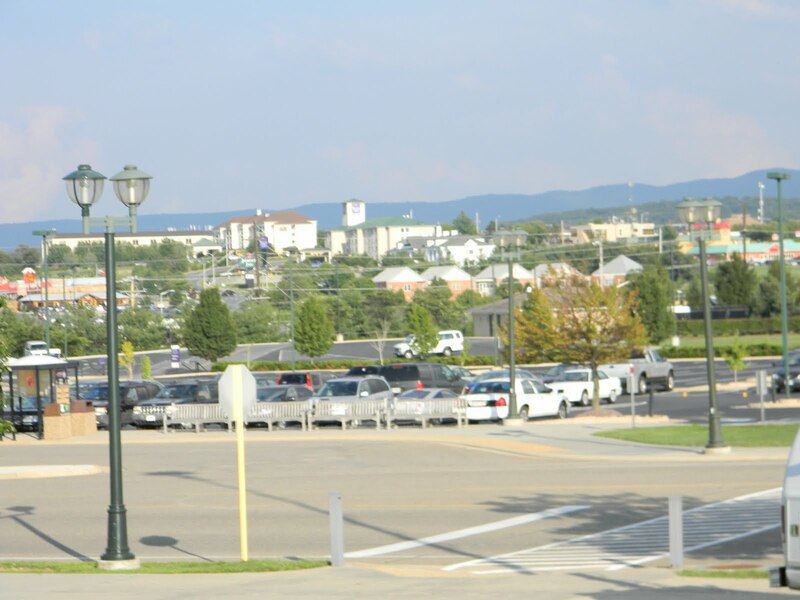 It's a new school year in the central Shenandoah Valley. ... and the danger of the current Democratic Party. This weekend ... jousting, knights, and fair damsels will roam the central Shenandoah Valley. Join as jousting enthusiasts from the East Coast gather for the 189th anniversary of the Mt. Solon Tournament. Here's an archived article from 2006 at Real Clear Politics that is still relevant today ... "Why I Left the Left" by Seth Swirsky. H/T to Donald Douglas at American Power. Lovin' Spoonful ... "Summer in the City" ... #1 on this date in 1966. But rather measure how well he sharpens his spirit by them. Can you afford NOT to home school? Rush Limbaugh: "Life is not fair"